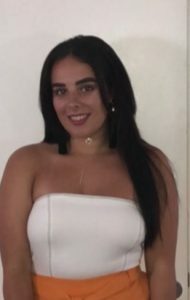 If you haven’t been in the salon lately you may not have met our latest graduate stylist Anna. 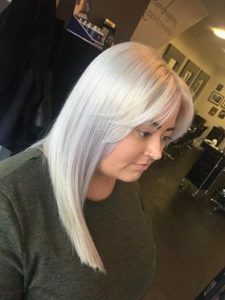 She’s been hairdressing since leaving school and attended the Andrew Collinge training school for three years where she completed level 2 and 3 in hairdressing. 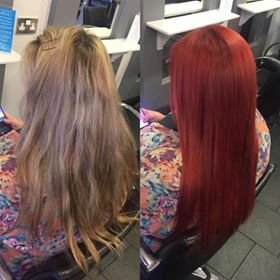 Save 20% with Anna: Anna is a wonderful addition to the team and is quickly building up a new client based within the salon. To help increase it further we are offering 20% off the price of a normal stylist off each service booked with her. Some of Anna’s recent work has included colouring (from bold colours to more subtle colours!) styling, blow waves and up do’s. She is enjoying getting to know her lovely clients and working within the Abstract hair team. She describes herself as fun, friendly, hardworking and loving. We sure love having her in the team!